My son’s seventh birthday is coming up very soon. For most of the year, he has only asked for one thing – a Nintendo 3DS. As I’ve mentioned before, he saved up his money for six months to buy a used Nintendo DS, but a friend of his has a 3DS and he’s really asked for nothing else for months and months. We didn’t just head out to the store to buy one. We waited patiently. Over a period of six months, I watched for sales on the 3DS. 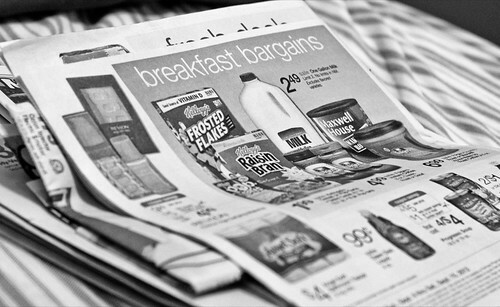 I kept an eye on several internet sites and I reviewed the weekly flyers of big box retailers. My goal was simple – I was waiting on a sale that took at least 20% off of the new price of the item. A few weeks ago, I hit the jackpot. We found a 3DS XL at about 35% off of retail, so we ordered it. It’s now sitting in a hidden place, waiting for his birthday. The lesson here is simple: if you don’t need something, wait for a better price. If you wait just a few months, you have a good chance of finding the item on sale, which puts money directly in your pocket. Most of the time, I have a list of a few things that are in that gray area between “want” and “need.” A new blender. A replacement phone. A good digital SLR camera. For each of those items, I’ve already done extensive research and I know what I’m looking for in terms of both features and specific models. At this point, I’m pretty much ready to buy. I don’t need these things immediately. I can survive without them, but they would be useful to have even in the short term. Instead, I watch the weekly store flyers. I keep a careful eye on internet deal websites, such as Amazon’s Daily Deal. I’ll ask my friends on Facebook if they know of any deals on these items. Usually, within a few months, I find a bargain. Usually, I’m looking for a sale that’s at least 20% off of the normal price. When I find it, I strike. Patience directly saves me money. Often, it saves me quite a bit of money.